Walter, born 9th January 1874, was the youngest of the five brothers who had so much to do with Hunslet's success in the late 1890's and early 1900's. He joined the club in 1889 and made his debut at 16. He held the record of youngest Hunslet debutant 60 years. He quickly settled down as full back then later in his career he moved into the centres. It was a source of great debate at the time which was his best position. On the 23rd April 1892 Walter played in his first final when Hunslet had a runaway victory over Leeds to win the "T Owd Tin Pot" or Yorkshire Challenge Cup as it was officially known. 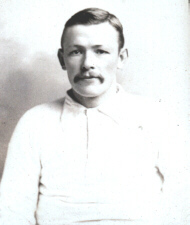 It was at full back where Walter made his name for Yorkshire in the 1891-92 season. He played against Northumberland, Lancashire, Durham, Somerset, Norfolk, Devon, Kent, Middlesex, Essex and also in the culminating game when the county side beat the Rest of England at Leeds. The following season he represented his county against Devon, Durham and Glamorgan. 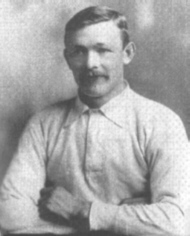 Walter was on the wing in 1898 when Hunslet won the Yorkshire League Championship and he played at centre in the 1905 Yorkshire Cup Final in which he kicked 2 goals. As well as being a pacey back he was also a master of the kick across the face of the opposing team's defence. Walter and Albert were awarded a joint benefit match in 1904 which was attended by around 8000 spectators. In his 18th and final season with Hunslet, the four cups season, he played 33 games scoring 9 tries and kicking 7 goals. In all Walter made over 600 appearances for the club. 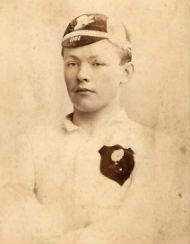 James Goldthorpe who was secretary of the Leeds club was able to persuade his younger brother to transfer to the Loiners early in the 1908/09 season and Walter was appointed vice-captain. He made his debut against Salford in November 1908 and in all turned out 51 times for the club. In 1910 Leeds defeated Hull, at Huddersfield, to win the the Northern Union Cup for first time. 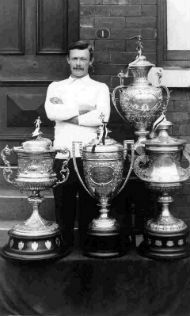 Walter scored in that final and set up a unique record because 18 years before that he also scored in the final when his native Hunslet beat Leeds. 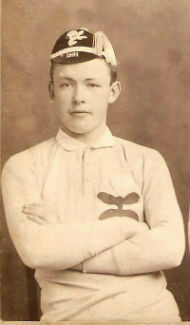 Altogether Walter played in four Northern Union Cup Finals the others being in 1899 and1908. After the 1910 final Walter retired bringing down the curtain on a 21 year career in first class rugby football. Walter lived with his wife Eliza at Windy Hill Farm, near Belle Isle Circus, Leeds.They had six children Arthur, Ivy, Ernest, Fred, Kathleen and Walter. Walter was the last surviving brother and he died at the age of 70 on the 11th of December 1944. In 2004 the achivements of Walter, Albert and his fellow players were again remembered with a commemorative t-shirt produced by the Hunslet Independant Supporters Club. Walter's part in Hunslet's greatest season was recorded in the book Four Cups to Fame which was published to mark the centenary of that event.